Europe's most magical cats battle for their nine lives! 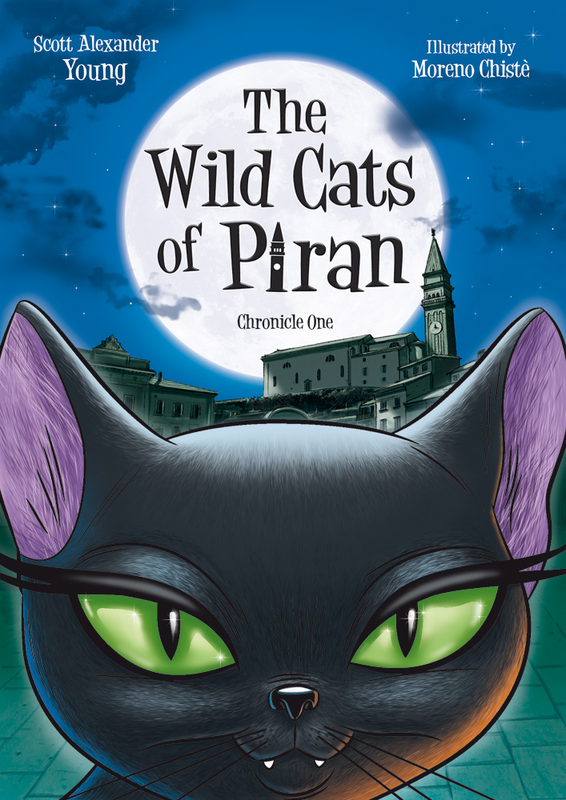 In this first chronicle, the wild cats encounter the ghosts of Piran – and the wicked General Rat! Join the beautiful Queen Felicia, faithful warrior Dragan and the feral feline family for nine tales of adventure and enchantment. The Wildcats of Piran are a colony of smart, courageous if also rather lazy feral cats that live in a small seaside town on the Adriatic. Indeed, Piran is a kind of miniature 'Slovenian Venice': a serene, forgotten place – at least in the eyes of most humans. Every day, the wild cats work the tables of the restaurants along the seafront promenade, hunting for scraps; and the pickings are rich. There’s one nasty, cat-hating Maitre’D to contend with, but the wild cats toy with him. Life is good in Piran. In the animal realm, and in the sphere of the supernatural, things are rather different. In the summer which our story begins, there are strange forces at work in this genteel town. For one thing, Piran’s rats have become mysteriously evolved lately, and are mobilizing under their leader, the sinister 'General Rat'. As well as the newly formed rat army, there is an Alsatian dog and worse, meddling and incompetent humans to deal with. Can Felicia hold her clan together, against all odds, or is their idyllic way of life doomed to extinction? The answers, some of them anyway, are in the first set of nine tales bound to please literary cat lovers of all ages. It was a few years ago now while on holiday in Istria on the border of Italy and Slovenia, that the idea came to Scott for The Wild Cats of Piran. 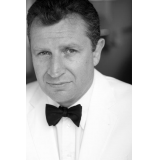 He was sitting down to lunch with an agreeable companion, a carafe of quaffable white wine and a seafood platter at a waterfront restaurant in Piran, a sleepy little fishing village that had once been a Venetian outpost. (You can see statues with the lion of Venice about the place.) In any case, as he was enjoying his lunch, Scott noticed not one, not two but rather three cats “working the tables” beneath, fetching scraps of food as they fell from above. It came to the author in one long, lucid moment. These cats could be part of a gang (or colony as a group of feral cats are called) and they would have all kinds of adventures in the town, not least with the ghost of Giuseppe Tartini, the diabolical violinist whose statue graces the main market square. Thus, The Wild Cats of Piran, a series of children’s books was born.